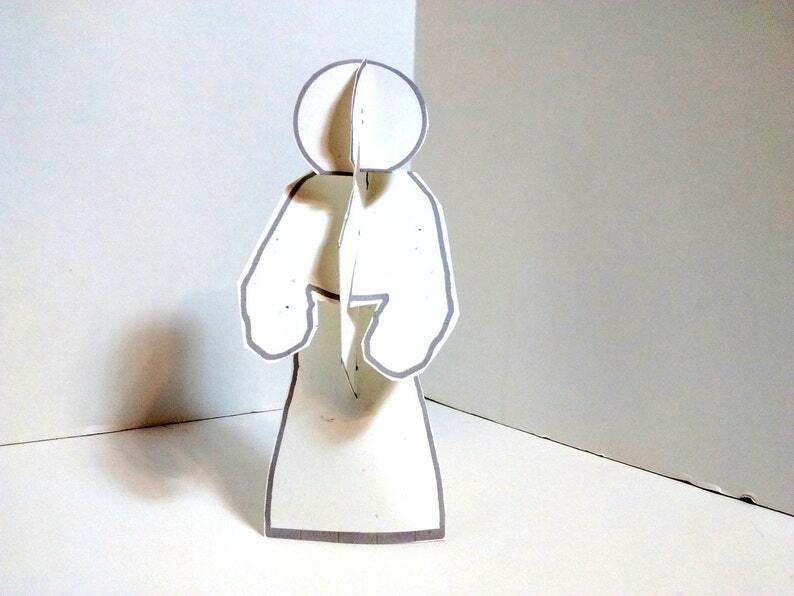 Join the paper doll revolution and upgrade your papercraft with this self-standing Blank Template, customizable paper figure. 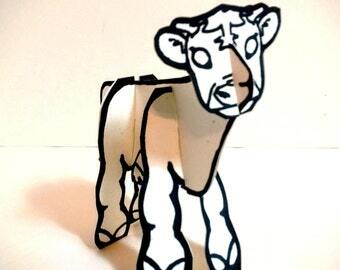 You can print, color, and assemble your first one in about five minutes. No special material or skill is needed. Buy once, and make many. Seriously addictive low-cost, low-tech entertainment. POPULAR DESIGN! In 2013, I developed a new approach to paper dolls, called Paper People. It was a immediate sensation and adopted by hundreds of art teachers and home schoolers world wide. Like those original toys, all my PaperTown Toys are easy to make, and easy to customize. MAKE A FRIEND IN <5 MINUTES! The instructions are dead simple. All you do is print, color, cut and assemble. See the sample pictures. I made the robot and monster really quickly, just as an example. Once you have made one, making more is super easy. Reprint and make an army, or a family.